Each year, the North Central Conservation District releases a publication outlining the previous year’s projects, events, and financial information in order to inform the people in our District of the services we provide. Our office is located in the second floor of the Tolland County Agricultural Center, 24 Hyde Avenue, Vernon CT. From I-84 take Exit 67 onto Route 31 (north) towards Vernon. Take a right at the light onto Route 30 (east), Hyde Avenue. The Tolland County Agricultural Center is the first driveway on the right after Rockville Bank. The contemporary manual for the design, installation and maintenance of soil erosion and sediment controls. 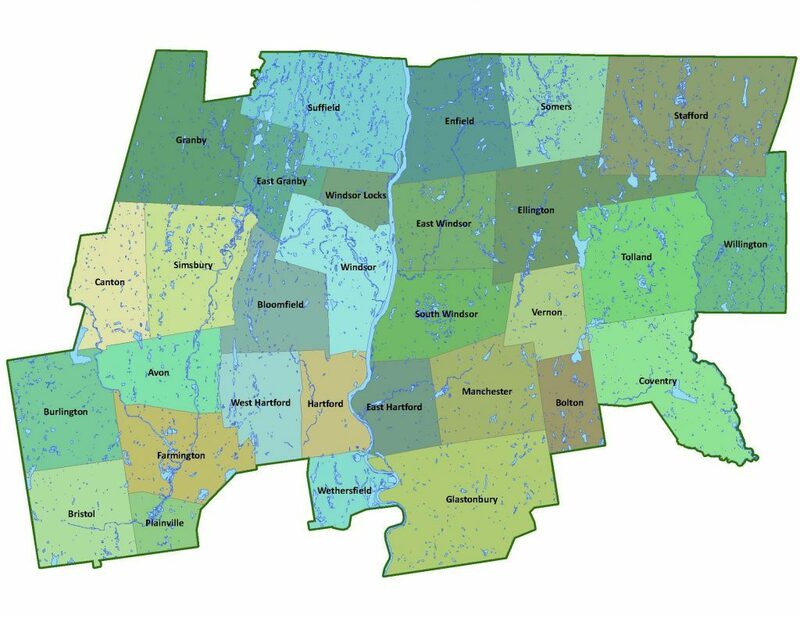 The 2002 Guidelines fulfill the requirements of Connecticut’s Soil Erosion and Sediment Control Act (see CGS 22a-328, Connecticut General Statutes). Starting in May 2002 these guidelines replace the prior guidelines on soil erosion and sediment control dated revised 1988. Containing information on the history of erosion and sediment control, and explanation of the erosion and sediment control process, sediment and pollution damage, how to develop an erosion and sediment control plan, details on 46 specific erosion and sediment control measures and 13 appendices including a 27 inch by 39 inch poster containing a summary of all the measures and applicability limitations. For use in the office and in the field. The District supply is sold out. Please call the DEP at (860) 424-3706 for assistance. The report is a compilation of water quality and land use data from the 1930s to the present. The USDA Natural Resources Conservation Service has compiled a report on the state of the Broad Brook Watershed. The following lists were compiled by the North Central Conservation District to assist you in choosing plants that will do well in specific environmental conditions, or for certain environmental purposes. Visit www.hort.uconn.edu for more images.